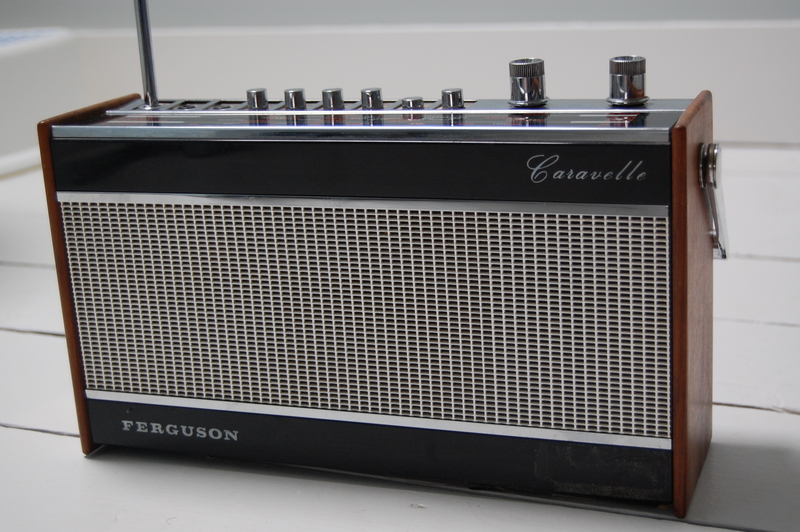 My husband inherited this Ferguson Caravelle radio from his grandfather. He loves it because it looks great and reminds him of his music-loving heritage, as his grandfather worked for HMV in the fifties. 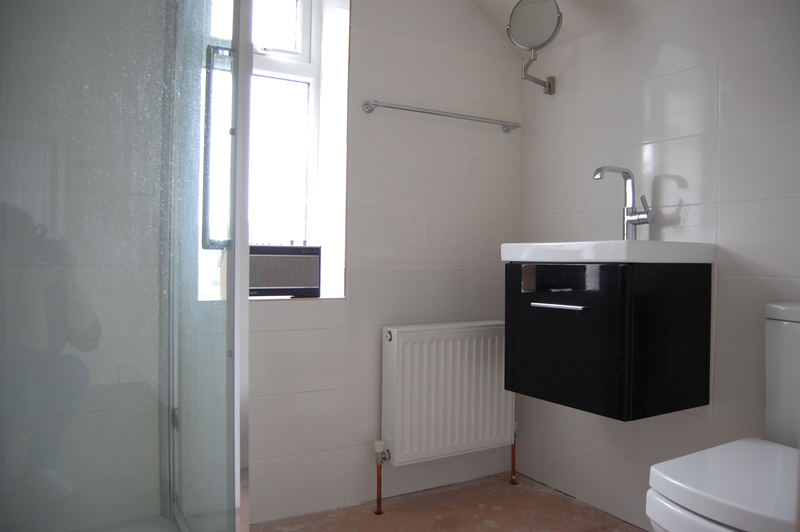 We recently gutted our bathroom and are in the process of replacing it with a shower room. 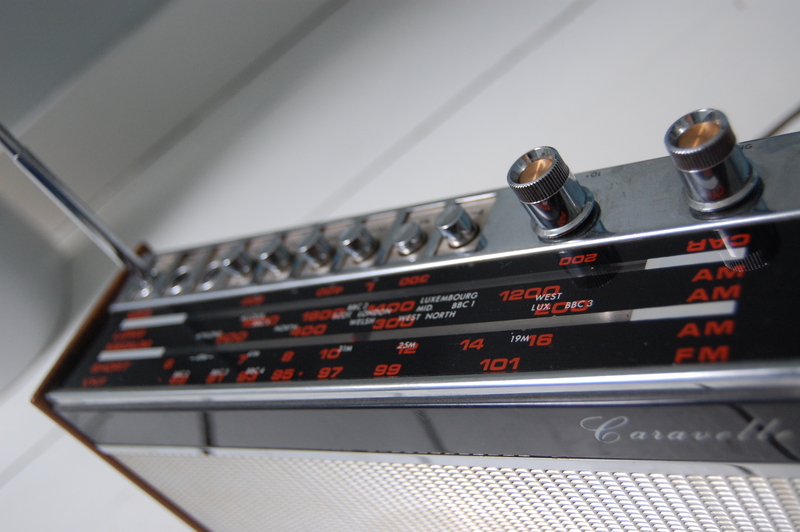 When he put the radio in there for some post-showering melodies, I noticed the fixtures and fittings we’ve chosen so far look very similar to the radio’s high gloss black front, chrome knobs and white writing. So when it comes to choosing flooring, it seems only right to pay homage to the warm dark wood of the radio’s case. Throw in some orange towels to match the numerals, and I think it’ll look great.